The Worker Occupational Safety and Health Training and Education Program (WOSHTEP) is a statewide effort aimed at reducing job-related injuries and illnesses among California workers. WOSHTEP offers a 24-hour basic health and safety training course and shorter awareness sessions for frontline workers in high hazard industries or occupations, small business resources, young worker health and safety leadership programs, and resource centers. All training is offered in Spanish and English. WOSHTEP prepares workers and worker advocates for leadership roles in the workplace to reduce job-related injuries and illnesses. WOSHTEP has developed a variety of training programs and educational materials to educate workers about health and safety on the job. Particular emphasis is placed on reaching employers and workers in industries with significant injuries, illnesses, and workers’ compensation costs. By promoting health and safety on the job, WOSHTEP helps industries to lower workers’ compensation costs for employers. Programs also focus on groups with special needs, such English as a Second Language (ESL) workers and employers, those with limited literacy, underserved industries or occupations, small businesses, and young people entering the workforce. 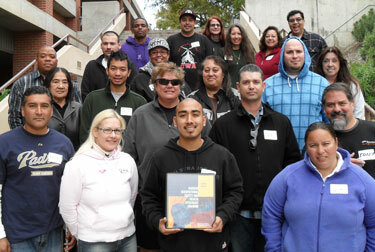 WOSHTEP trains Southern California workers to become Worker Occupational Safety and Health (WOSH) Specialists; uses a 24-hour curriculum for high hazard industries and underserved workers; and contributes to Spanish-language curricula, training materials, and fact sheets sponsored by the CHSWC. WOSHTEP was initiated in 2002 with funding from California Workers’ Compensation Reform legislation. it is administered by the Commission on Health and Safety and Workers’ Compensation in the Department of Industrial Relations through inter-agency agreements with the Labor Occupational Health Program at the University of California, Berkeley, the Western Center for Agricultural Health and Safety at the University of California, Davis, and the Labor Occupational Safety and Health Program at the University of California, Los Angeles. Serve groups with special needs such as workers and employers with limited English skills, limited literacy, small businesses, young people just entering the workforce, and those in traditionally underserved industries or occupations.